In our house, the kids are most likely to be found outside, running around in the back yard and jumping off anything they can climb. They’re active kids who love to enjoy a nice, warm day! If there’s one thing our kids adore doing the most on a cold or rainy day, however, it’s crafting! Making something new and learning new crafting techniques keeps them busy when the weather won’t cooperate and they have to take a break from the great outdoors. We always find, however, that some crafts make for especially great “crafternoons” because they keep the kids a little more amused for a little longer than other things do. 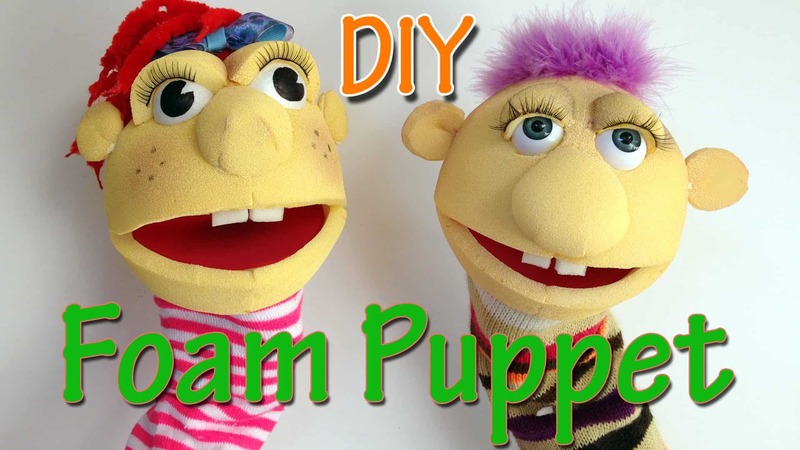 DIY puppets are the perfect example of what we mean! Not only can our kids make something from scratch and get hands-on, but they can also spend hours playing with the craft afterwards! There’s just something so satisfying about making a new toy and then continuing to use it later rather than just hanging it on the wall and being done with it. That’s why we’ve been on the hunt for great puppet craft ideas and tutorials! Just in case your kids love toy crafts and puppets as much as we do, here are 15 of the best ideas we’ve come across so far. Are your kids always making up little characters, giving themselves new names, and acting out scenes whether they have a toy in their hand or not? Then we think perhaps we’ve found a great crafting idea for you, especially if your little ones really like the idea of making something entirely themselves rather than letting you do most of it. 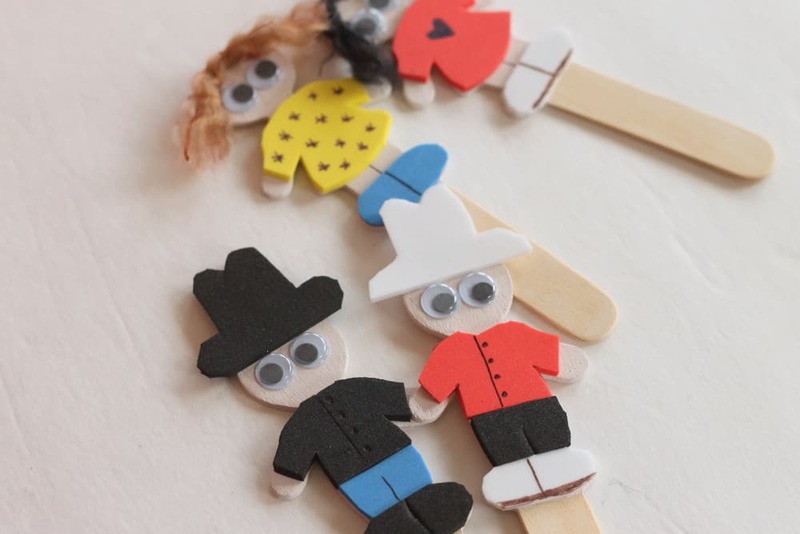 Crafts Unleashed suggests using bit popsicles sticks (or wooden cutlery) as a puppet base and then getting crafting with foam paper and googly eyes to give your puppet clothes and features. You can even add hair made of yarn! Perhaps your kids have long been fans of TV shows that use puppets in their scenes and skits, and they’re the kind of crafty children who love trying to make and recreate the DIY projects they see around them? Then maybe this more in depth tutorial is for you! Rather than just making a flat character puppet, Ana DIY guides you through the super fun process of creating puppets out of foam! We love the way they also use foam for the eyes, ears, and nose but then use socks to make the body. This lets your hand slide in easily, helps the puppet stay on your arm, and, depending on the sock you choose, makes it look like your puppet is wearing a nice patterned shirt! If you ask us, the best classic puppets have always been finger puppets! There’s just something adorable about making the little people or animals you can make dance around on the tips of your fingers. Our favourite thing to make fingers puppets out of is felt! 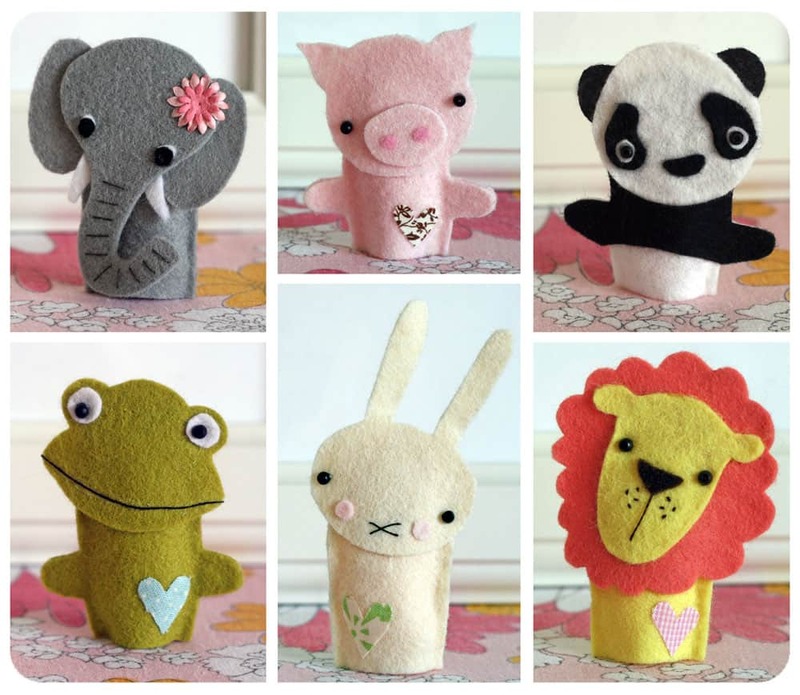 Kristy Neale shows you how to make a whole series of cute little felt animals complete with features and little hearts just by cutting and layering the felt. It’s much easier to make these little cuties than you might think! As cute as little animals and people are, do you have a feeling that your kids would much prefer to make something a little wilder and more creative? In that case, we definitely think you should give these hilarious monster puppets a try! We like that they’re a little bit bigger, so our kids don’t have to worry so much about finer details and finicky little pieces while they’re crafting. Check out how these monsters featured on Pinterest were made out of empty pasta boxes! 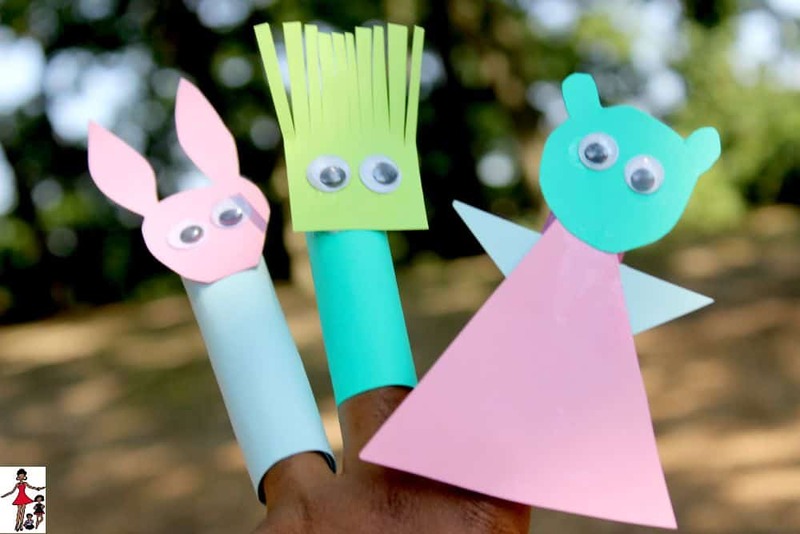 Were you very intrigued by the finger puppets idea but you’re just not sure you have time to pick up any felt in the next few days and you know your kids are itching to get crafty today? Then we think you’ll appreciate this easy idea outlined on Rattles and Heels! They use paper cut and glued into whatever shapes you please and fastened to a cylinder that will keep the puppet on your finger. We love the idea of adding googly eyes for personality! 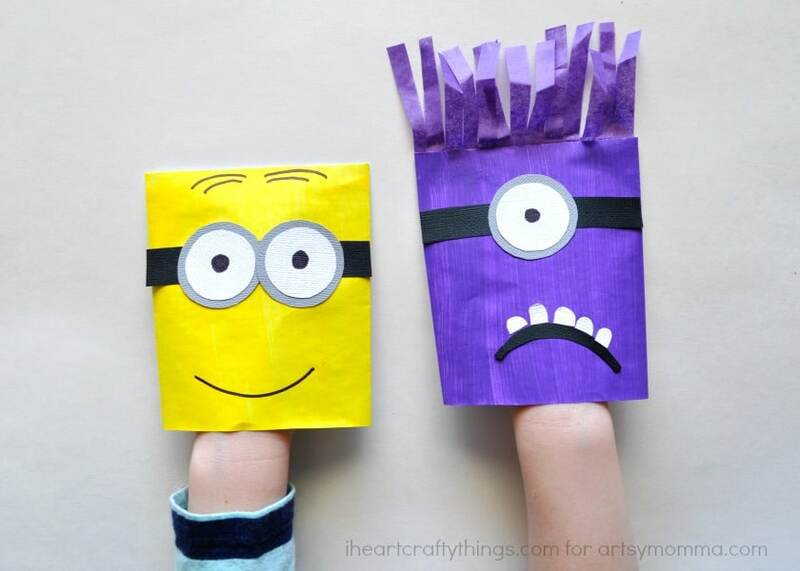 We’ve always really enjoyed paper bag hand puppets because they’re so versatile yet simple to decorate, but sometimes our kids get tired of making the same old puppy dogs and kitty cats that they’ve been making for years. That’s why we started looking for fun characters from their favourite movies and TV shows to recreate! So far, their absolute favourite movie characters have been these funny Minions, so we’d definitely suggest taking a look at them on Artsy Momma. Were you pretty intrigued by the idea of making a more structure puppet like the bigger foam ones we showed you above, but you’d rather make a brightly coloured version that looks kinds of like the ones you’ve seen on kids’ TV shows? Well, you’re in luck with this totally awesome step by step puppet tutorial from Moms Eat Cold Food! 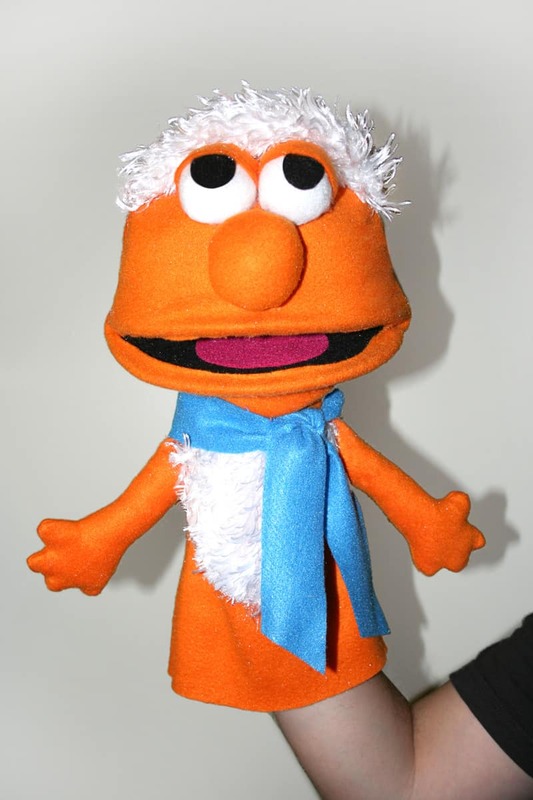 They show you how to make a fun little puppet character using felt, faux fur, and fabric. We love the way they gave their puppet furry hair! 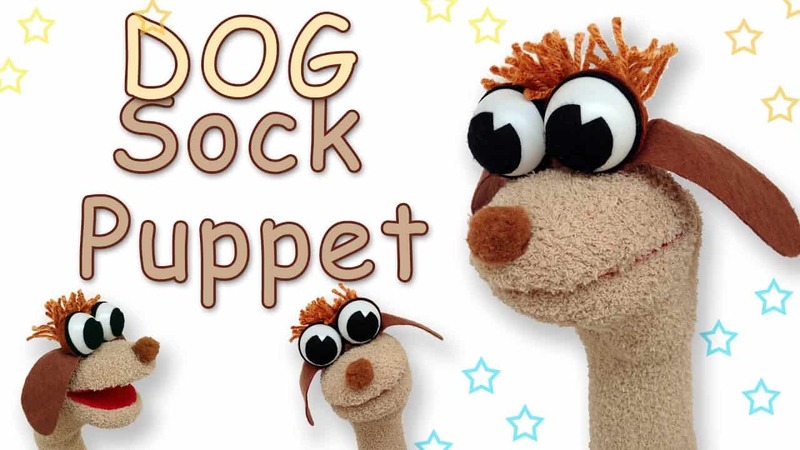 Besides paper bag puppets and finger puppets, perhaps the most common homemade puppets are awesome, classic sock puppets! We love the idea of turning old socks into crafts of all kinds, especially if the final product is something our kids can keep using and playing with when we’re done. 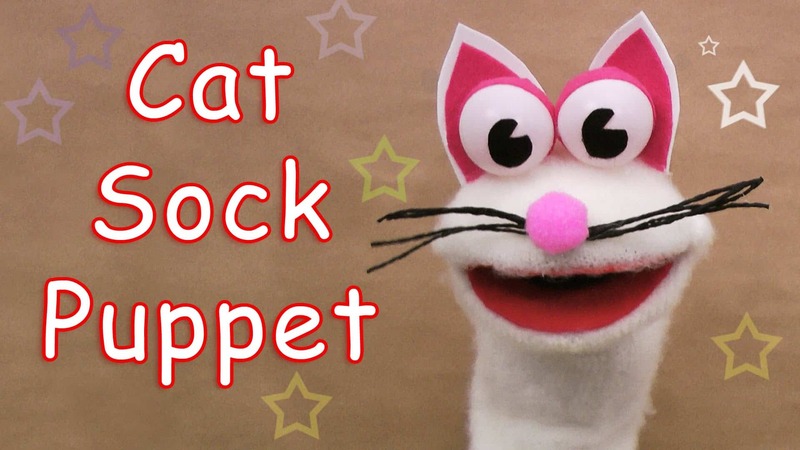 That’s why we loved this funny cat sock puppet outlined on Ana DIY so much! We love that they used a fuzzy sock to mimic a cat’s fur and gave their kitty big, playful eyes by making them out of ping pong balls. Are your kids really chomping at the bit for some awesome crafting time and you know they’ve got puppets in mind, but you’re short on creative crafting supplies and you really don’t have time to pick up anything extra or new today? 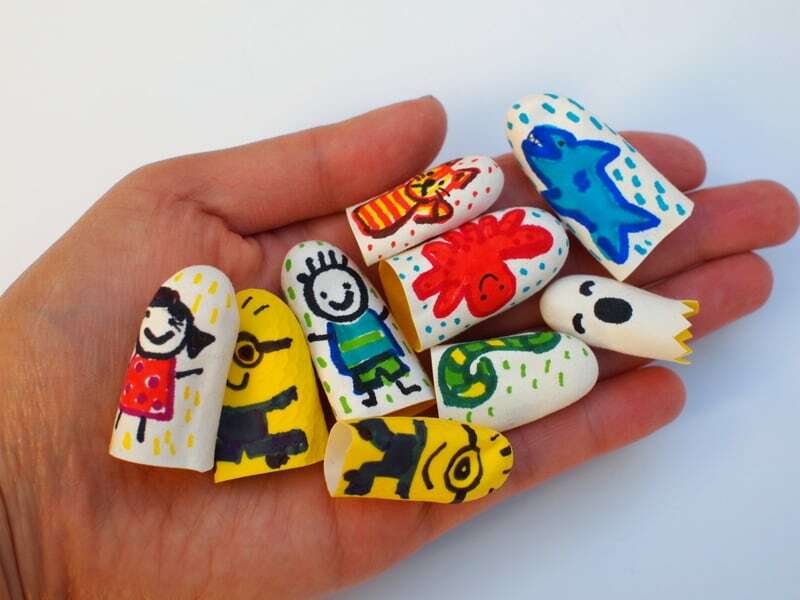 In that case, we definitely think you should take a look at these funny little hand drawn finger tip puppets featured on Molly Moo Crafts! They show you how to draw faces and designs onto the finger tups of rubber dish gloves before cutting them from the actual glove to make little pieces that slide right onto your finger. Were you very intrigued by the awesome fuzzy sock and ping pong ball cat puppet we showed you above but you know your kids are actually more dog people? Well, don’t stress just yet, because Ana DIY is here to make sure dog lovers get to make puppets of their favourite animals too! We can’t get over how cute these dogs’ funny little hair-dos and floppy felt ears are. Were you intrigued by the wooden popsicle stick and spoon idea we showed you earlier on our list but your best DIY and art skills have actually always lied in hand painting and drawing rather than working with materials and fabrics? In that case, maybe you’d prefer this adorable little spoon puppet idea from Easy Peasy and Fun instead! 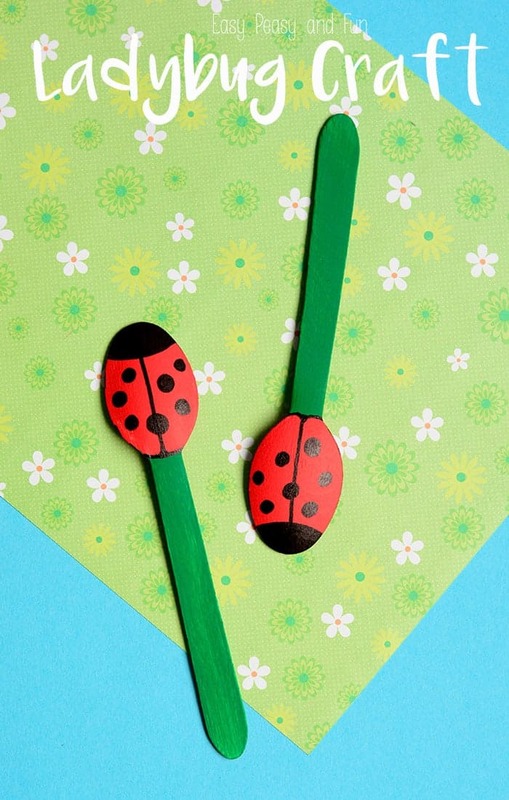 They show you how to transform the wide end of the spoon into an adorable little lady bug, leaving the handle of the spoon as a tool for you to move your little bugs around. If you’re going to make puppets and start putting on puppet shows, would you rather work with more than one puppet at a time? Well, many of these ideas are pretty quick and simple, so you won’t have much trouble making more than one, but we still suggest taking a look at this multi-puppet project from Wendy’s Hat! They show you how to make a series of cute little frog faces, as well as how to attach those to the tips of a pair of gloves so each of your fingers is transformed into a little character. If you’re going to make yourself a DIY puppet, would you rather make it entirely from scratch rather then using something pre-made as a base? Well, we always enjoy making things entirely ourselves as well, so we can’t say we blame you! Sometimes the simplest things are the most satisfying that way. 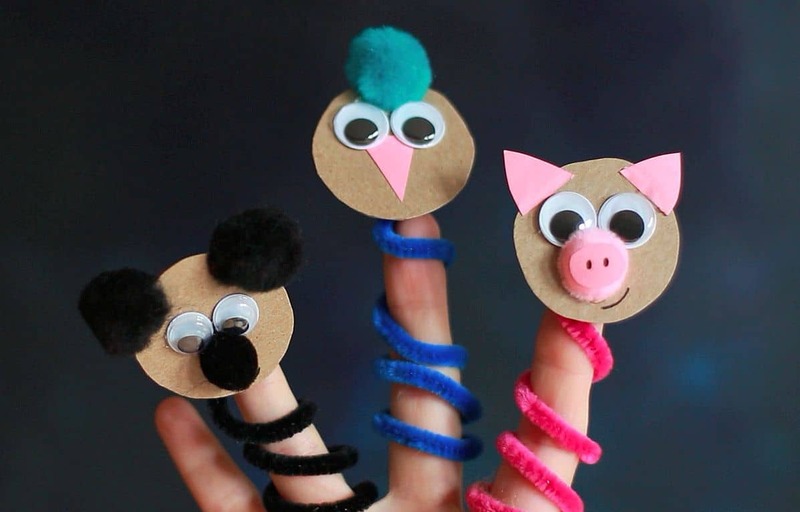 We’re sure you can imagine, then, that we had a total blast when we helped our kids make these adorable paper, googly eye, pipe cleaner, and pom pom creature puppets that slide right on your finger. Check out how the pipe cleaner twirling process happens in just a few simple steps on PBS. 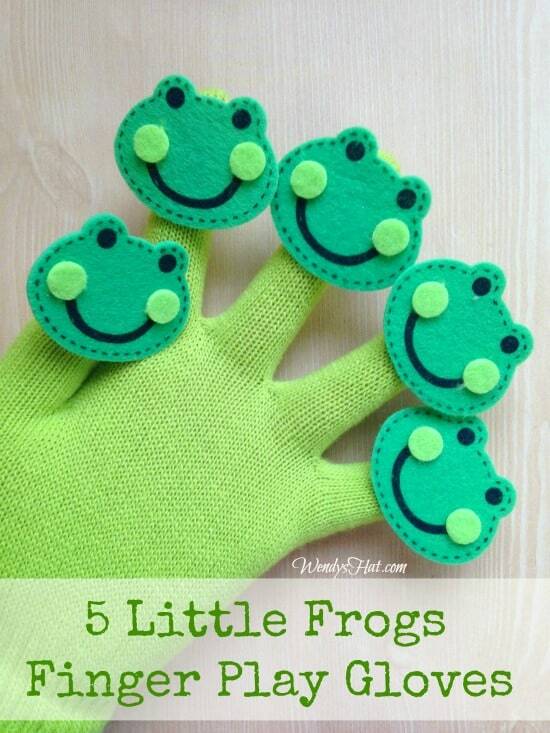 Did we really catch your attention when we started talking about glove puppets like the frog idea we showed you earlier, but you’re not sure frogs will really hold your kids’ attention, no matter how cute they are? Then we think you’ll be pleased to learn that we’ve found another glove puppet alternative for you! 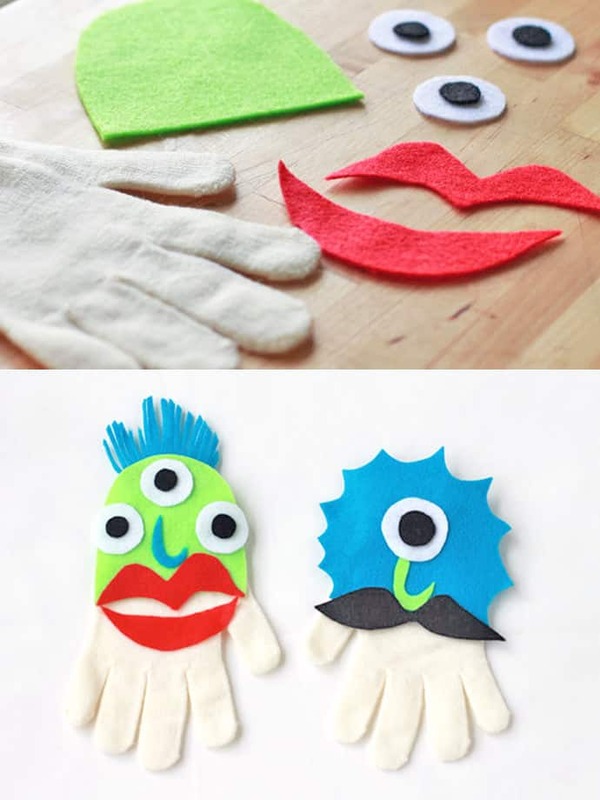 We absolutely adore the way Handmade Charlotte created these funny little monster hand puppets by cutting out shapes and features in bright coloured felt and then building the monsters on a pair of stretchy gloves. We’ve talked a lot about finger and hand puppets so far, but did you know those aren’t the only kind of puppets you can make? 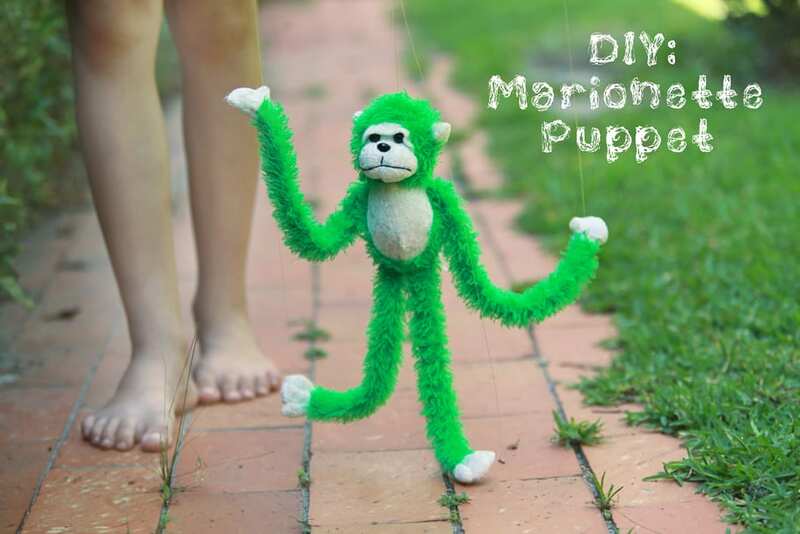 Marionettes might sound rather intimidating to make because there are so many strings and moving parts involved, but they’re actually surprisingly simple to create if you start with a cute step by step tutorial like this one from Ramblings From Utopia! They show you how to transform a stuffed toy (store bought or homemade) into a marionette that you can walk all around when you’re done. 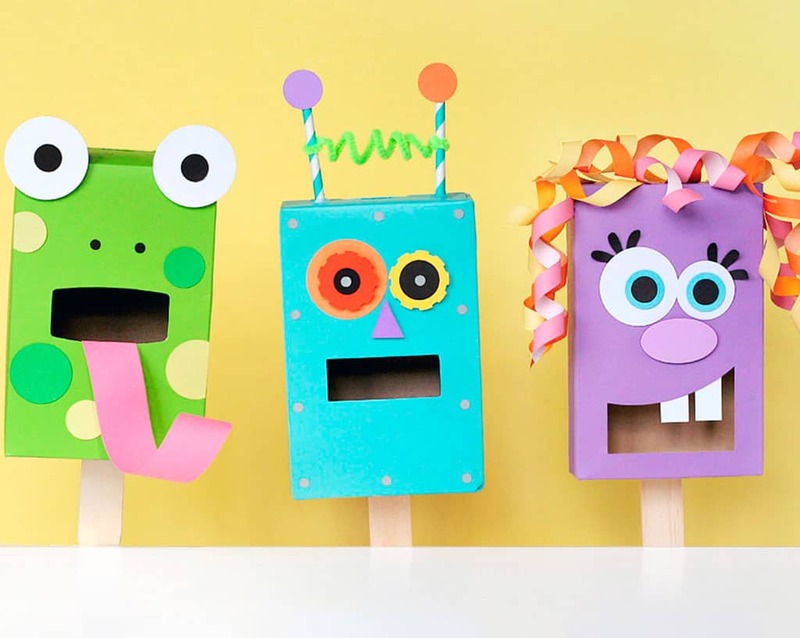 Have you made other kinds of adorable DIY puppets that your kids love playing with but you don’t see anything similar to what you made on our list? Tell us all about it or link us to pictures of your finished project in the comments section!